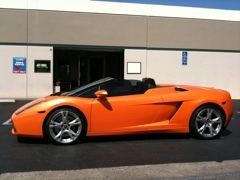 Just Smogs smog certifies 2007 Lamborghini ! JUST SMOGS inspects this $250,000 beauty. And of course…..it Passes.